For decades, Vans has been a brand for those who choose to live a lifestyle that revolves around creativity, fun and competition. And these are all things that ring true with the FIAT brand; from the hundreds of customization options we offer on our vehicles, to our heritage of Italian racing, we've learned that self-expression and the drive to succeed is what fuels our drivers. 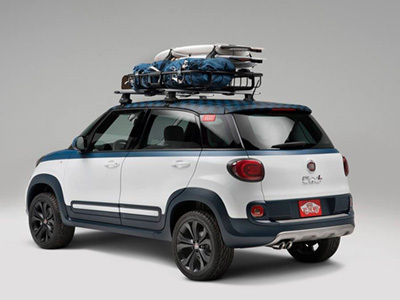 FIAT teamed up with Vans to bring you the FIAT 500L-Vans design concept. This slick ride features tons of customizations that make it unmistakably Vans while keeping it undeniably FIAT.